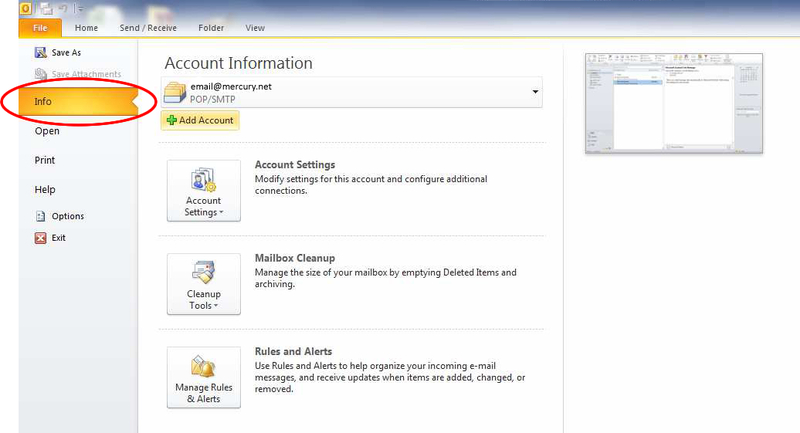 Once you see Account Information at the top of the window you will see your email account directly underneath that. Below that you will see three options. 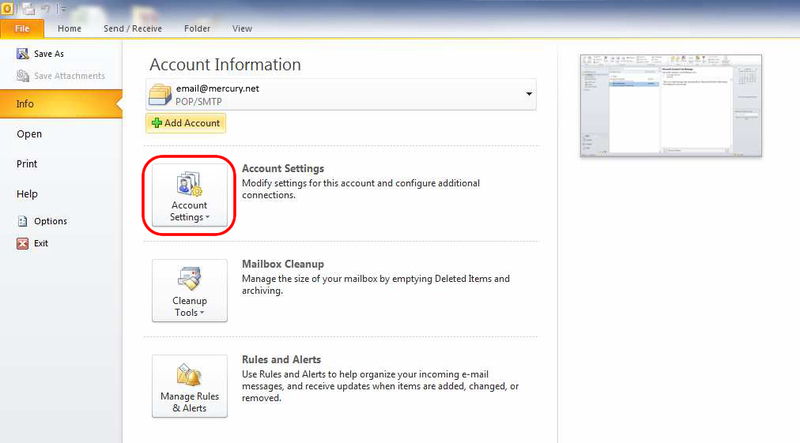 Click on "Account Settings"
Another box will appear in which you need to click on "Account Settings..."
Verify the "User Information" and "Logon Information" are correct. 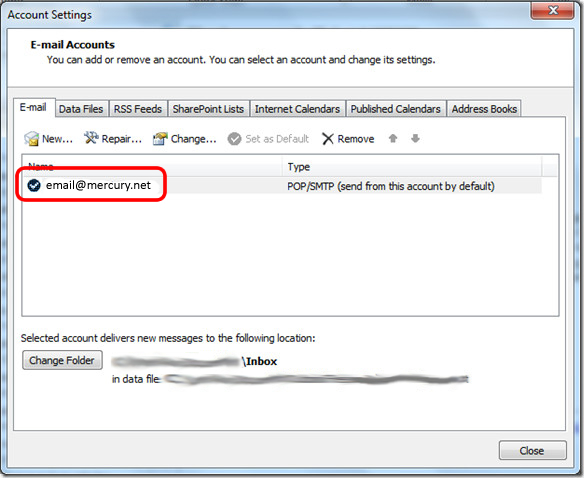 Then enter "mail.mercury.net" for both the Incoming and outgoing mail server. Also, be sure to UNCHECK "Require logon using Secure Password Authentication (SPA)" then click the "More Settings..." button. 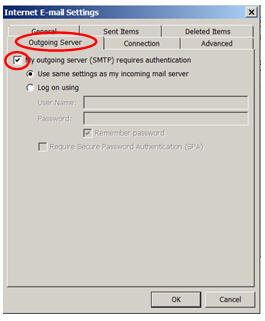 On the Internet E-mail Settings window, click on the "Outgoing Server" tab at the top. 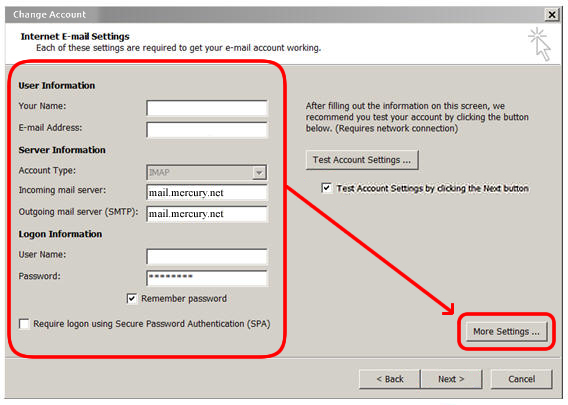 Verify that you have the option "My outgoing server (SMTP) requires authentication" checked, and the option "Use same settings as my incoming mail server" is selected. Next, click on the "Advanced" tab at the top. 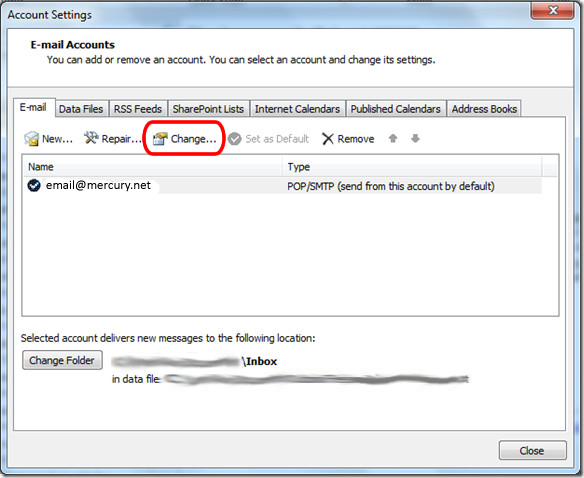 The incoming server port will vary depending on the account type, POP or IMAP. 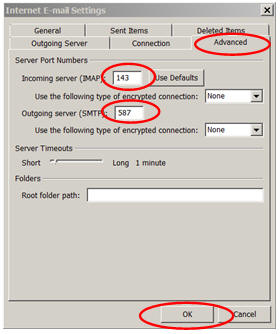 If the account is setup as a POP account, the "Incoming server (POP)" port number should be 110. 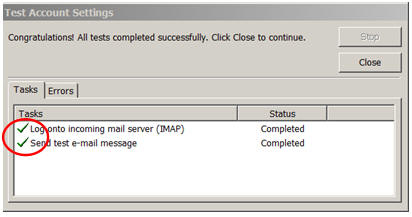 If the account is setup as an IMAP account, the "Incoming server (IMAP)" port number should be 143. 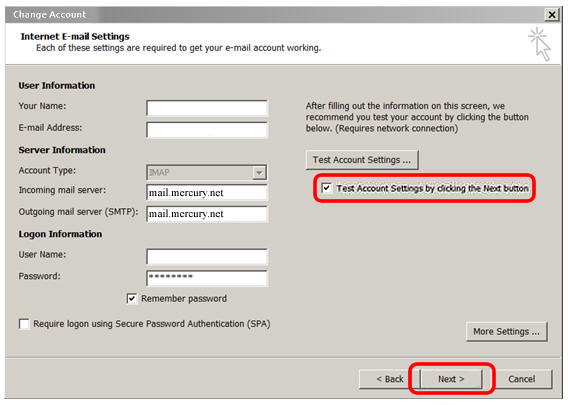 Lastly, under both the incoming and outgoing server, the option "Use the following type of encrypted connection" should be set to "None" then click the "OK" button.